We have asked for free entry to the house for anyone attending the festival but I wont know until our next meeting with them. Why would they want a load of sun-drenched hippies hanging round a stately home?!? Because it would add to the ambience of the place?????? Have to ask though, and it might just be my ignorance, but why? the change of venue?? Sun drenched would be the least of the problems. A bunch of hippies that have been on it since breakfast deciding they'd like to go and check out the priceless objet d'art. Im a clumsy enough arse as it is. We are delighted to announce that THE BEAT, ZION TRAIN, UK SUBS, TOFU LOVE FROGS, ADE EDMONDSON & THE BAD SHEPHERDS, NECK, MILES HUNT & ERICA NOCKELLS (WONDER STUFF), MARTHA TILSTON, DAVID GIBB AND LITTLE JOHNNY ENGLAND are all confirmed to play the MAIN STAGE and BEARD TOP in 2011.  The Main Stage headliner for the SUNDAY will be released later this month and the acts listed are split over the Saturday and Sunday of the festival. The headliner and a few more names will be released exclusively to EFESTIVALS. Miles Hunt and Erica Nockells will headline the Beard Top on the Sunday night! 30% of the festivals ticket allocation has now been sold. Really considering this now, if only because I don't want my festival season to be over after next week at alchemy.